Has the PFI Standards Program qualified your company, and will you be at the Hearth, Patio & Barbecue Expo in Atlanta next month? If so, we will have materials on hand to help you brief buyers, stove manufacturers and others about the PFI Standards Program. In addition to the materials below, we will have buttons available for members of your team to wear on the expo floor as a reminder that the program has qualified your company. Please contact us for more information and to arrange pickup of these materials at the expo. 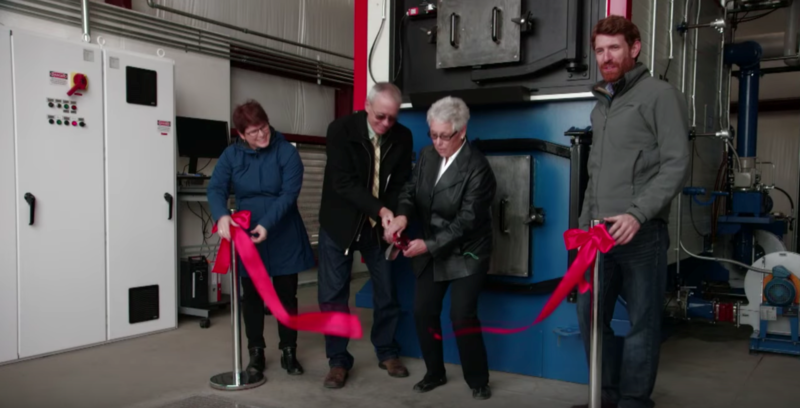 The Oregon Department of Forestry recently released a video on the success of a public-private biomass heating partnership in Burns, Oregon. While the boiler uses wood chips rather than pellets, the partnership could serve as a model for incentivizing biomass heating use in other communities. The Swiss lubricant manufacturer Bathan AG announced the hire of Jorg Langenhuysen in January. Mr. Langenhuysen will join the company's team of service engineers, bringing more than 15 years of experience with pellet mills. As a former CPM service engineer, he has a broad knowledge of the operational nuances of pelletizing and how to improve operational excellence. Together with Andreas, Bathan AG builds a strong and flexible team that is willing to get the best performance possible for its global customers. Can Home Wood Pellet Boilers Go From Fringe To Mainstream? The Ketchikan airport has one. So does the Walter Sobeloff Building in downtown Juneau. Now, a fringe group of homeowners are installing wood pellet boilers to heat their homes. Not to be confused with wood burning stoves, these boilers have been marketed as a cheaper alternative to heating oil, at least in the long run. But is the framework there to make the technology go mainstream? Christal Higdon and her family recently celebrated the installation of a new wood pellet boiler in their garage. When the moment came to hit the switch, after a year of anticipation, Higdon said they didn't pop open champagne, but they did make brownies. "[We] invited the electrician and the plummer and everyone over," Higdon said with a laugh. She made a crock pot of chili to share with everyone as they fired up the boiler for the first time. Higdon is one of about four homeowners in Juneau who have made the transition from electric resistance heat or oil to a wood pellet boiler. But the switch-over has been stalled by lower prices for fossil fuel, according to a new study done by Innovative Natural Resource Solutions. * Saved about $11.8 million compared to purchasing fossil fuel. * Pumped about $5.8 million into the state's economy for pellets or chips. * Saved the equivalent of 7.7 million gallons of heating oil. A clean, cheap and carbon neutral way to heat your home - sounds good. Its a reality for thousands of families and businesses in Europe and North America. Pellet boilers are growing in popularity; with grants and incentives offered by various states and governments - often in the form of financial assistance towards equipment and installation, depending on location. Ecoheat Solutions, a pellet boiler provider, have put together a summary of incentives for US based consumers here.